Illuminate your back and front yards with this landscape path light in stately bronze. 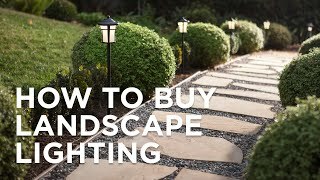 This stylish path light is a perfect choice for your landscape. Light up walkways and garden areas to enhance the look and keep things safe. This "mushroom top" design comes in a classic bronze finish. The long-life energy-efficient LED means no more time-consuming bulb changes. And, because it uses so little energy, you can have more lights on your transformer/system. Replacement for a set bought in 2014. Great lights! to match existing lights that we purchased at one of your stores. Contemporary design and inconspicuous for garden placement. Because I already use these lights and needed a few spares. It is reflective of the oriental design of my front yard. 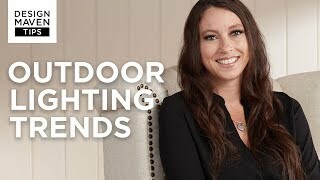 As a landscaper, I do a lot landscape lighting for clients that are usually on a budget, and these lights are great and for a great price. 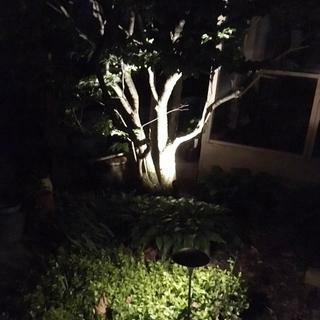 We've had mushroom style pathway lights for over 20 years. Have repainted and repaired, enough. It's time for a nice fresh set of LEDs. Anxiously awaiting! Needed an extra light for our sidewalk. Can I use the plastic connectors from my prior Portfolio landscape lights to connect these path lights to my power wires? BEST ANSWER: If you plan on using plastic wire connectors, we recommend using the gel-filled type. 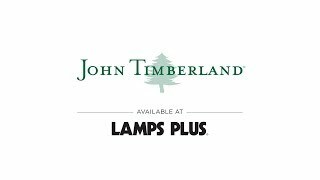 Is this price for 1 lamp? BEST ANSWER: Yes - the price is for one lamp. You also have the option to purchase them in a set as shown below. Does this product come with a transformer or do you buy that separately? The transformer is sold separately. But, I have added a package option below which includes the transformer and wire. Can you redo the package without the lights. I have already placed a order for 30 lights. If you can allow me to purchase the wires and transformer(s) without the lights. Looking forward to your response. 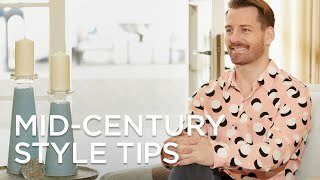 You need to buy a transformer separately. What type of warranty comes with your landscaping light fixtures? BEST ANSWER: You may connect them with outside/landscape wire connectors, or we do offer a bag of low voltage wire gel-filled connectors Style #5G986. You need an electrician to install an exterior cord linking them to a power source. A qualified electrician will know what he's doing. It's not a big deal. I have been very happy with these lights. 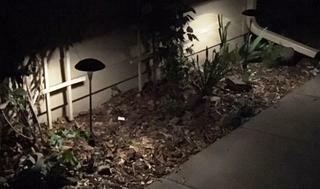 They are nice accent lights along the edges of beds and walkways and the light is subtle, enough to help see where you're walking but not so bright that your place is lit up like Dollywood. Good value, well priced. Hi, the gel caps are needed when taping into an existing power source. We spliced them together using landscape wire and the low voltage gel-filled connectors provided. You'll need wire cutters and a stripping tool to do that. Any hardware store has those and can show you how (or look for a video online). BEST ANSWER: Hi, the path light operates off of 12V AC. Are the LED bulbs replaceable for these fixtures? BEST ANSWER: No. The LEDs used in this design are built-in, so they never have to be replaced. Full dimensions and wattage for this unit? BEST ANSWER: Dimensions: 18" high x 7" wide. Includes 7" ground stake. Wattage: Comes with a 4 watt built-in LED module, produces a light output comparable to the output of a 35 incandescent model. Length of hook up wire ? BEST ANSWER: I've already hooked up the lights so I can't provide an accurate measurement, but the length is over 40 inches. What is the length of coming out of lamp?? Hi - not quite sure what measurement you are looking for. This design stands 18" high and is 7" wide at the top. It comes with a 7" ground stake. If you need another measurement, please contact us and we'll get you the information you need. I do not remember specifically, but it was at least 24" from the base of the light. BEST ANSWER: Metal! I'm very pleased with these pathway lights. The light generated is very soft, so if you are looking for bright lights, these are not the ones for you. If the lights in the photo are too tall for your space, they can be made shorter (by @ 5") if you remove a piece of the arm. Hope this helps! They are metal. To make them more useful, I painted the underside of the dome white. This gave much more reflected light than was possible before. The lights are very attractive and work well. I agree with one of the reviewers who stated that the lights are not very bright. The reason is that the inside of the dome is the same bronze color as the outside. To get a brighter light, I spray painted the inner dome with a primer and a final coat of white. This requires extra work, but it greatly improves the light output. I have about 30 of these lights illuminating my front, side, and back yards. I have lost two of them over a two-year period. One was knocked over by playing with a large dog, and the other was hit by a football from the neighbors' kids. My only complaint is that it doesn't take much force to break the metal stem, because of its long length, where it screws into the base which is anchored in the ground. The threaded insert, which connects the stem to the base, is the weak link. It will not withstand much shear stress. Bought 5 of these less than 2 years ago. They are very nice subtle illumination. But one of them failed already, and LAMPS PLUS won't do anything about it other than sell me another since it's outside the 1 year warranty. The whole point of LED lights is long-life reliability and the bulbs can't be replaced, so if I were buying again I'd try a different brand. We wanted some lights for our back yard that would be illuminating but not super bright. These are perfect. We live in the north where we get a lot of snow, and these seem much more durable than the ones we had in the past. The construction seems very solid, so I'm optimistic that they will hold up well. If you want something super bright these probably aren't for you, as the light is more subtle. But it is more than sufficient to light a sidewalk, and the spotlights are great shining up the trees. The instructions are not very detailed, so if you have never done this before I suggest looking up installation information online. Its a very good lamp and works just as expected. Unfortunately it is not as bright as I thought it would be. Yes, I recommend this product highly. I achieved what I had hoped for with these lights...... subtle exterior lighting along the paths and garden beds outside my house. Not very bright, which is just what I wanted. Good value for the money. No problems whatsoever. Delivery took a little longer than expected but definitely worth the wait. These only lasted 2 years and burnt out. At $40 each I expected them to last a bit longer than 2 years. Very disappointed. Called & they would do nothing since over a year old. I do not recommend!! Hi Betty K., sorry to hear that your path lights went out after two years. This is an uncommon issue with an otherwise popular product. We do apologize that your items did not fall under our full one-year warranty, but we hope that you can reach out to our customer service team via phone, email, or chat so they can provide some alternate solutions for you. Thank you. Very nice lamps give adequate light for pathway. I bought 5 of these lamps and so far 3 of them have quit working. Hi Paul N., thank you for reaching out to us through this review so that we can follow up with you. We'd like to see if there is anything our customer service team can do to resolve this for you. Can you please contact us at 877-704-2425 for assistance? Thank you.